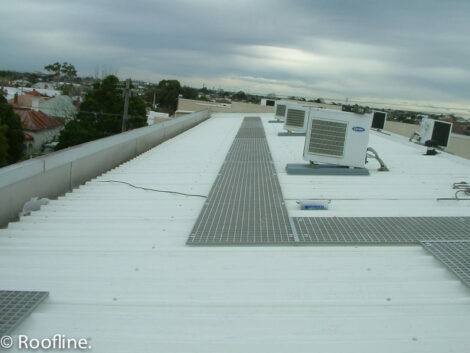 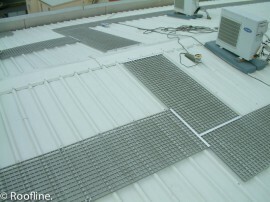 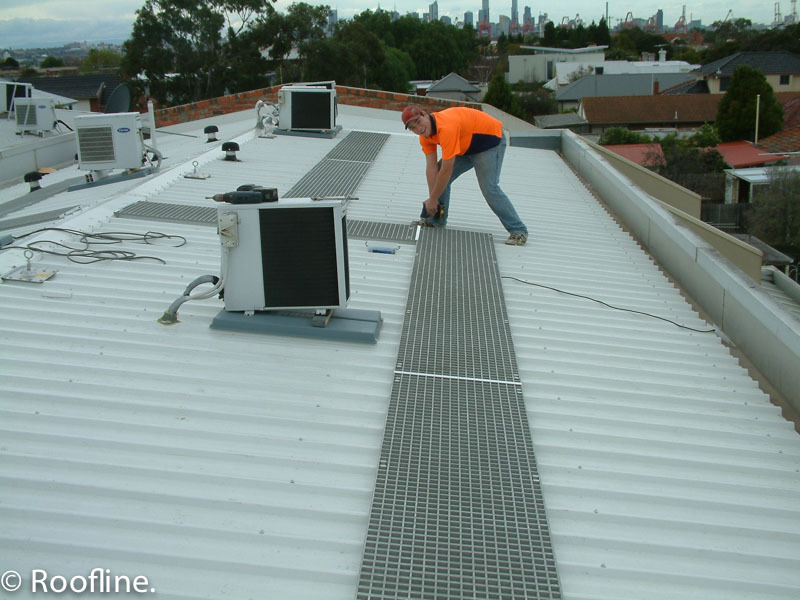 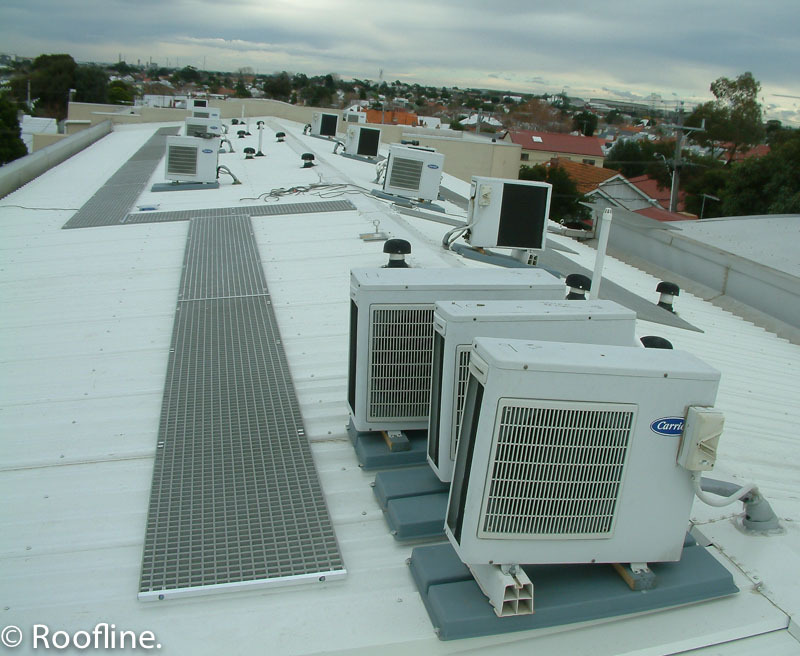 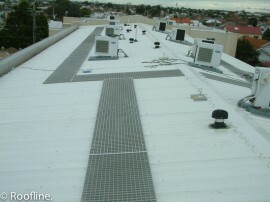 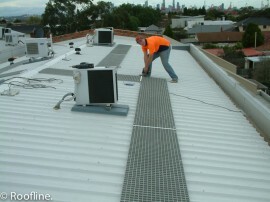 This project was for a commercial premises in West Melbourne. 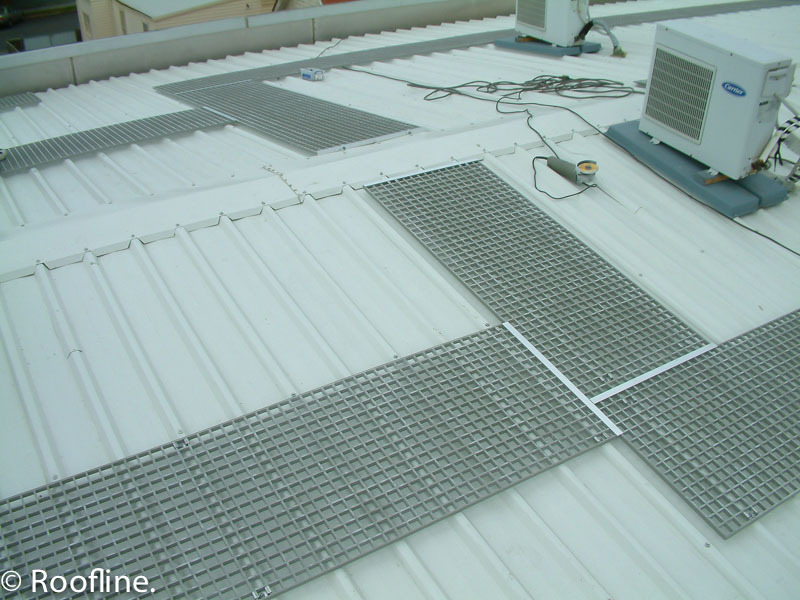 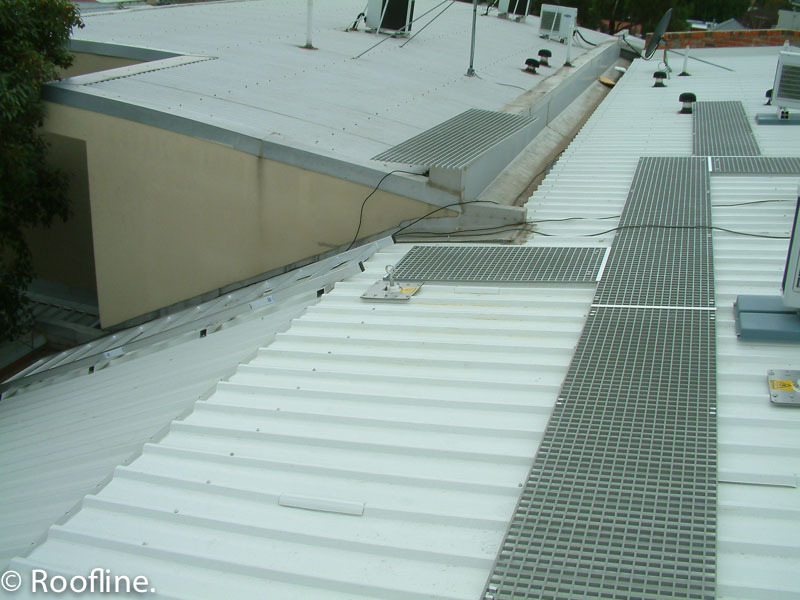 The scope was to provide a new roof and to implement a roof safety access systems to allow servicing of air conditioning units and other equipment to be undertaken in a safe manner and to prevent foot traffic damage to the roof. 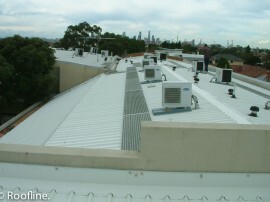 Installed new surf mist Trimdek Colorbond roof. 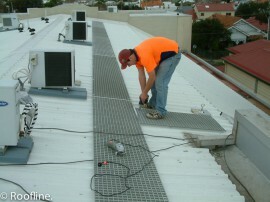 Installed Sayfa Ontrak walkway system. 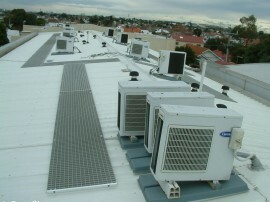 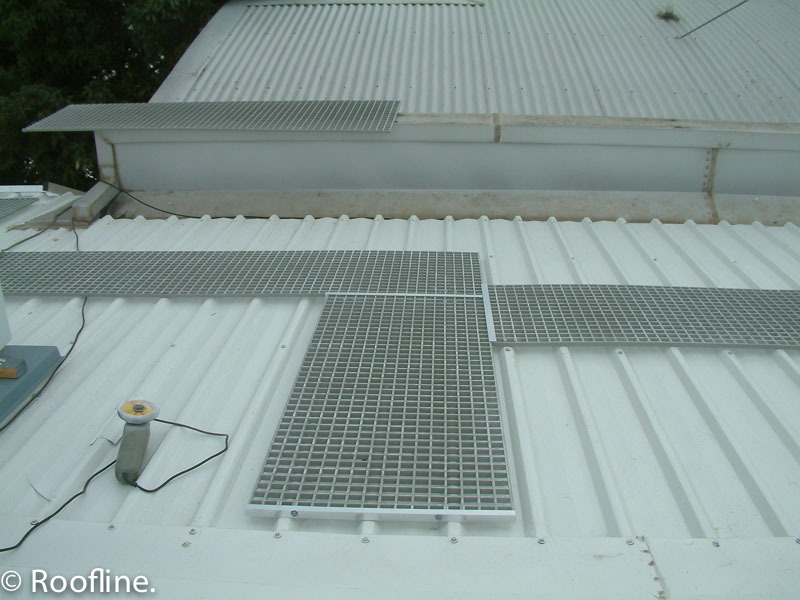 Installed air conditioning unit condenser bases.